In recent years, in an effort to be more sustainable, restaurants have ditched bottled water. Now, increasingly they are doing the same with bottled wine. Across the country, restaurants are pouring more draft wine (wine served from a keg, like beer). Not only does this serving method offer diners a less wasteful restaurant, it promises better, more affordable wine. Tap wine reduces wine packaging as well as the amount of wine that restaurants throw away. (Restaurants commonly toss open bottles of wine that have oxidized and lost their freshness.) Tap wines, though, which are stored in a barrels, are never exposed to oxygen and stay fresh for weeks. Similarly, they don’t carry the cost of the wine bottle, which means that restaurants can sell them for as little as $4 or $5 a glass. 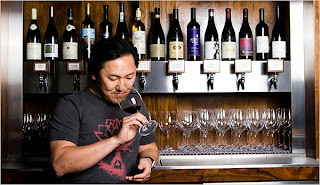 These advantages have had national restaurants like Daniel Boulud’s newest NYC restaurant, DBGB, and Father’s Office in Los Angeles selling tap wine for the last couple of years. And recently Denver has joined the movement as well. The newly opened Euclid Hall serves three tap wines from the local winery, Infinite Monkey Theorem. Table 6 pours one tap wine at a time, and Jax Denver also has a rotating wine on tap. And now that our environmentally friendly city has embraced this trend, we don’t expect it to go back to bottles. 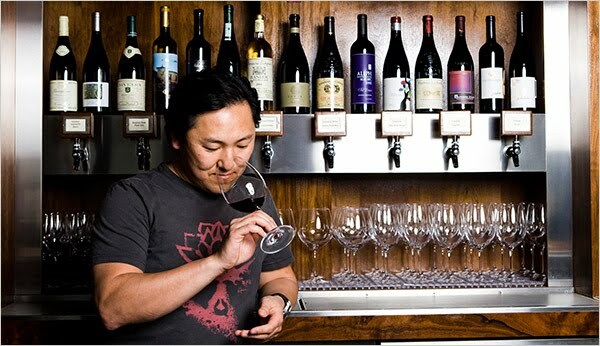 Rumor already has it that new restaurants (scheduled to open in 2011) are building entire bars around draft wine.